Lots of bikes is what we want. This is my stg 3 vtr . MORIWAKI museum in JAPAN . lightweight battery / total loss system . Your supposed to wait until others have posted. Who's going to compete with that. It done 170bhp in it's day...out of curiosity do you know what it does now. i was gonna post up the newly finished track back but there goes Yeti ruining my chances of securing the win. them stripping out the parts to repair her from the museum bike . Ive yet to ride the BEAST as yet but I`m hoping to take this one and the stg2 to Cartagena with me for a 4 day stint of track time , hopefully I`ll have some photos to post of 1 or both when I get back . I have started her up and warmed her up a few times though and she does sound awesome ! . ^BAAAM. Poll closed. INSANE! 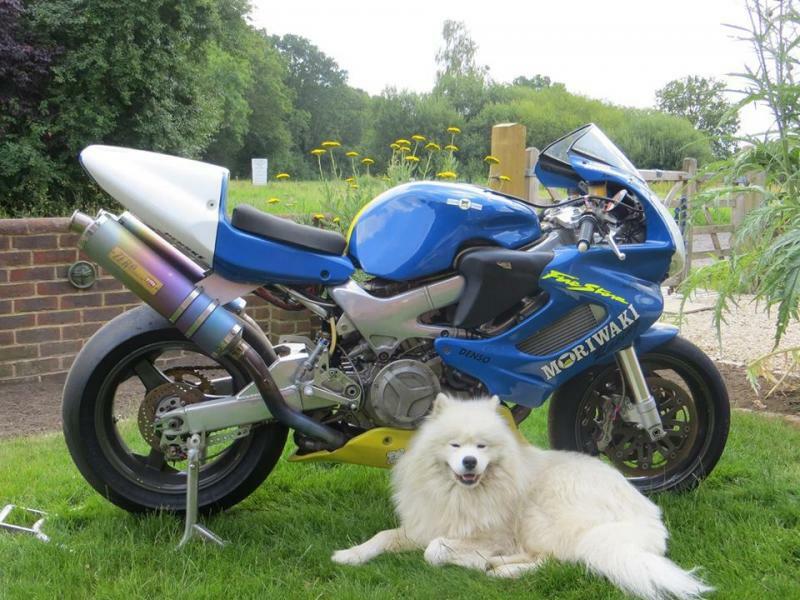 I'm quite sure that's the most powerful VTR ever owned by a member of this forum. I went to a track day and there was a dude there on the roughest looking VTR1000 that I had ever seen. He embarrassed many riders in the fast class with bikes worth 10 times more. Even the Asian Kamakazee class with their cross plane R1s etc were in awe! It was a sight to behold and the sound when he came down the main straight was unmistakeable. It looks like the Olive Green one has that potential. On that note you get my vote! It's a statement and sometimes the bike exceeds the sum of it's parts and that is what the bike is all about. Scobey that's a cool bike, lotsa nice bits on it. i really do love what this bike has become. its such a rewarding bike to modify and ride. i think the bike came with so much potential from the factory but got really budget parts in order to meet a price point. it responds so well to mods and gives back what you put into it. i do think once you get past things basic things like suspension upgrades and brakes, its a point of diminishing returns. you spend more money to get less improvement. 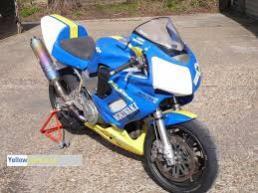 however i love the VTR to much and want it to be capable of its full potential. the money is more or less irrelevant to me. my next venture is in the wheel department although it will have to wait. but a nice set of magnesium wheels dramatically changes a bike. improves braking, acceleration, and "flickability" then possibly fabricating a ram air setup. ive got a friend who can make anything out of carbon fibre, kevlar, fibre glass, etc.. and ive talked to him about a sort of copy of the moriwaki air box with ram air tubes. i try and tell myself that ive got all the mods i want but as soon as i finish 1 i think of 3 more. its never ending but always satisfying. anyways ive got my first trackday on the new motor coming up here soon. it should be a good time. in the past ive been pretty dead even acceleration wise with 600's so the extra 15ish ponnies from the pistons and cams should give me a good jump on them. An easy mod is to do an electric water pump and remove the pump gear and chain as well as the anti rattle gear on the primary drive. That coupled with the lightened flywheel really helps the motor to spin up extra quick. That mod would cost about 250 bucks and a bit of time. Could you post your dyno charts if you get some? Oh yeah and your right about the money, like you I have found that the further I get into this bike the more it costs for less return, but shoot I don't care I just love it . No other bike engages me so much. i would of voted for yeti. but after my struggles with my project,i refuse to vote for deep pockets. I commend yeti on his acquisition, but I voted for the guy that built up the bike he posted. i do appreciate the votes gents. i will say that i have to give yeti respect. not only does he have the most prestigious collection of VTRs on the planet, but the time and money it takes to keep them all running and in good condition really adds up. i love the bikes that he has and honestly i really admire him for devoting so much to preserving some awesome pieces of the VTRs history. i do know that there has been at least 1 full race VTR that was parted out and sold bit by bit so its cool that these are being cared for. Dude! That is such a sick bike, way cooler than the RC51! I agree with Scobey that what Yeti is doing is very honourable. Maintaining a piece of history is admirable when he could be diverting funds into what is perceived to be much more desirable and exotic bikes. Yeti obviously has the bug like the rest of us. I voted for Scobey because his bike epitomises what I believe the bike is all about. I would love a $ for every time someone says what sort of bike is that, A Ducati? We all know how good these bikes are and I'm sure that at some time or another we have all enjoyed the times that our mates have had to concede that the Hawk/ Storm is a good bike because you have just razzed them on their latest more expensive ride. Here in Oz the Storm is viewed as a staid budget V Twin that you own because you can't afford a Ducati. Exactly the opposite for me and my friends wonder why I lavish so much care attention and $$$$ on my Honda. I think it's because the bike rewards with fettling and mods like nothing else I have owned. I am going on a ride this Sunday with a group that includes Ducati , Aprillia, Moto Guzzi , Benelli, Kawasaki , KTM and Suzuki. In the shed is an 08 848, an 07 Aprillia and of course the Storm. Which one will I take? The Storm of course and the reason why is that it will be the most fun because the ride will be a variety of conditions and the Storm is the one that I enjoy the most because it is not a narrow focused bike that is only good at some things like the Duc or the prilla. So the reason Scobey got my vote is that I believe that his bike is a stick it up em special,that will shock a lot of track aficionados when they see how it goes, where as on the other hand Yetis bike says get the eff out of my way I am coming through. Scobeys bike is a sleeper and more than the sum of its parts and yetis is definitely making a statement along the lines of "look out" I'm here to whoop ur ***! I would be happy to have either of them in the cave, but I would be too scared to use the Yeti bike in anger as I wouldn't want to hurt it. Wish we had 2 votes EH!!!! Sorry for the rant, just my thoughts and justification as to why I voted for Scobey. 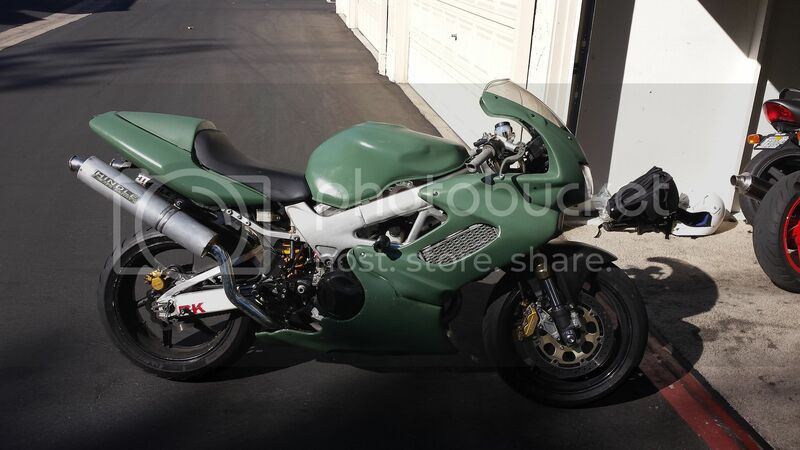 jscobey: this olive is the ugliest color I´ve ever seen on the storm, but for track bike I like it. The whole bike is great, in spite of Yeti´s is top class. Aha well I will admit it looks awful in this picture. In real life its more of a military vehicle color. I'll probably repaint in at some point but I do like it for now. I wanted something no one else really had. yes sir. just finished rebuilding the motor on it. its going to be used as my track bike. basically its your motor and frame ha. everything else has been swapped. Glad to see it went to a home that will take care of it. Ha e fun with it. Congrats 'Scobes! Now heal that motor...!